Tonight, the Houston Dynamo have once again stopped Philidelphia Union from advancing to the Eastern Conference Championship with a 1:0 win at Robertson stadium. Houston Dynamo Captain #25 Brian Ching scored the only goal of the night in the 48th min in stoppage time. The goal was assisted by none other than Houston Dynamo Midfielder #11 Brad Davis. Brad Davis is the MLS leader for assists to goals beating out LA Galaxies Midfielder #23 David Beckham. 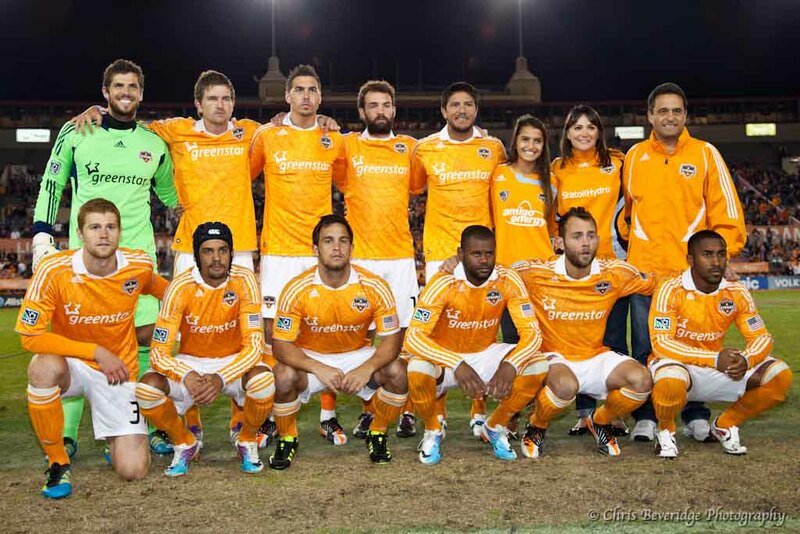 The Houston Dynamo go on now to play Sporting K.C. this Sunday, 6 November 2011 @ K.C. for the Eastern Conference Championship. A win against K.C will send the Dynamo to LA to face the winners of the Western Conference Champions in the MLS cup final match. Tonight the Dynamo one again showed the US that they belong with the leading teams and that they still have more to prove like their first 2 years in Houston. Dream, Scream, Believe!! Be Orange. This entry was posted on Thursday, 3 November, 2011 by Chris. It was filed under Dynamo, Houston, MLS, Spots and was tagged with Futbol, Houston, Houston Dynamo, MLS, Soccer.